The competitive landscape for Real Estate agents is growing as they have to compete with both public and private real estate companies. 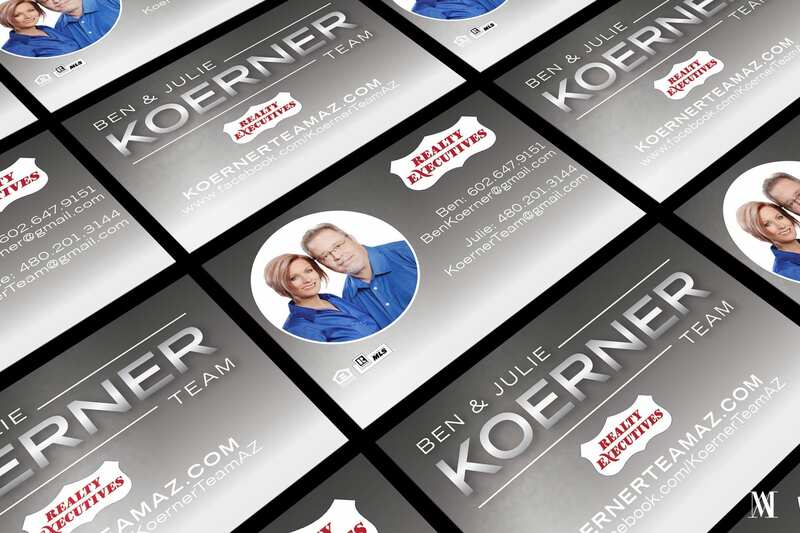 When Real Estate agents, Julie and Ben Koerner came to us they were very clear that they were aiming for a fresh and inspiring brand design. They were looking to create a new approach as a team to Arizona residents. That’s exactly what we make our project about. We came-up with full-fledge personal branding for these realtors that involved custom logo designing to business card to social media accounts customizations. 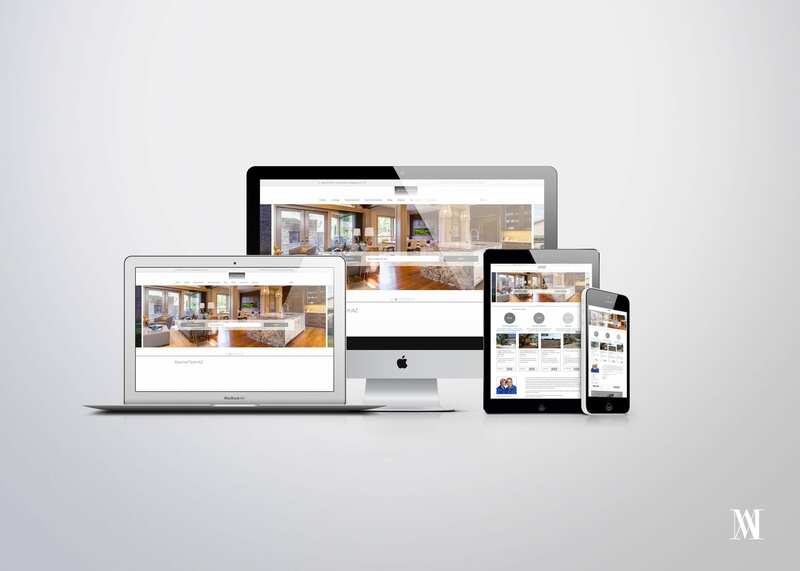 Our branding reflected confidence and strength in our client’s abilities to provide guidance for their clients throughout the buying and selling process. We then translated the initial logo mark throughout marketing materials such as personalized thank you cards, listing flyers, presentation kits, business cards and social media elements. Since there is already a lot of competition in the real estate industry and we wanted to create a modern brand identity that is distinguished from others. Consequently, we created a strong color palette and identity design that conveyed professionalism and expertise. We put a lot of emphasis on building a brand that can be trusted by the audiences. And, for that, we used a combination of various elements so that an original, unique and an attractive product can be formed. In our every strategy, that we used to design a business card, thank you card and custom website design and development, we tried to reflect our client’s mission clearly. On our process of sounding like a credible name we did not imitate big brands. We researched our client’s main competitors to build a brand that stood out.